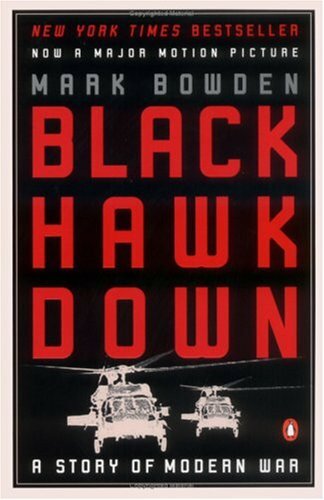 What's the Difference between Black Hawk Down the Book and Black Hawk Down the Movie? The rangers marked targets and close contact did the rest. The Rangers fired strobe lights at their targets at night. Sergeant Eversmann was actually picked up by Lt Col Danny McKnight's 'Lost Convoy' and returned to base without reaching Crash Site One. Sergeant Eversmann (Josh Hartnett) reaches Crash Site One with Chalk Four on foot and remains there throughout the night until the rescue convoy arrives. Pilla was actually killed while he was shooting out of the left hand back seat of the Humvee. Ruiz and Cavaco were the only men killed while in the turret of a Humvee. Sergeant Pilla was killed while manning his Humvee's 50 Cal. Ruiz was actually manning the 50 Cal of his Humvee on the Lost Convoy when he was hit and eventually returned to base after the convoy failed to reach Crash Site One. He was evacuated but died on his way to a hospital in Germany along with Delta operator, 'Griz' Martin. Sgt. Ruiz was mortally wounded while moving to Crash Site One on foot with Cpt Steele and a group of Delta operators then remains in the city throughout the night.